Carolina Cipher has been helping small to midsize growth oriented companies implement successful business management software solutions for over thirty years. They hired GreatWorx to help create a new web presence at CarolinaCipher.com and to design a robust back-end solution in the cloud. Technologies used include Drupal, MySQL, Linux, and Rackspace Cloud. EquipmentNow.com is a heavy equipment and machinery marketplace. Consider it an eBay for bulldozers, backhoes, and all other types of things that can tear earth and haul it elsewhere. GreatWorx was approached by Acumedia, the parent company, to help rescue the project after the current development company had allowed it to spiral out of control. Saving it involved a lot of work, including heavy Ruby on Rails development, MySQL, Linux administration, deployment on ec2 and s3, and integration with the OpenX ad server. 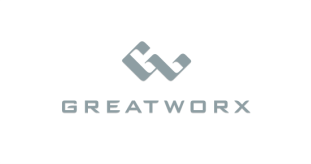 Definitive Business Solutions hired GreatWorx to add functionality to SMARTopics, their enterprise performance and risk management tool. Specifically, GreatWorx added a dashboard which functions as a virtual spreadsheet (including highly complex relationships between fields), a project health measurement tool, and an EVM utility. 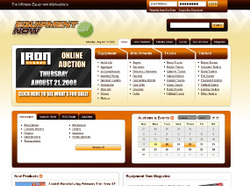 Technologies used include PHP, a custom ORM, and AJAX via scriptaculous. Omega Imaging Manager was a joint venture between GreatWorx and Lexington-based Aften, Inc., and involved the development of a document imaging solution specifically focused on the housing and tenant management industry. Drawing from Aften’s deep industry knowledge (they formed, developed and eventually sold Tenmast Software, Inc) and GreatWorx’s technical acumen, the end result was a highly flexible system that allowed management of virtually any type of housing document. Technologies used include Java, Swing, Excelsior Jet, Morena, Java Advanced Imaging, and more.